One Crafty Mumma http://www.onecraftymumma.com/ just finished another great Dishcloth challenge. I have entered into the second challenge http://www.onecraftymumma.com/2013/10/dishcloth-swap-for-aussies-knit-or-crochet-swap-2.html as the first one was such a joy to be involved. Again I made them with Bendigo Woollen Mills Cotton, 8 ply. 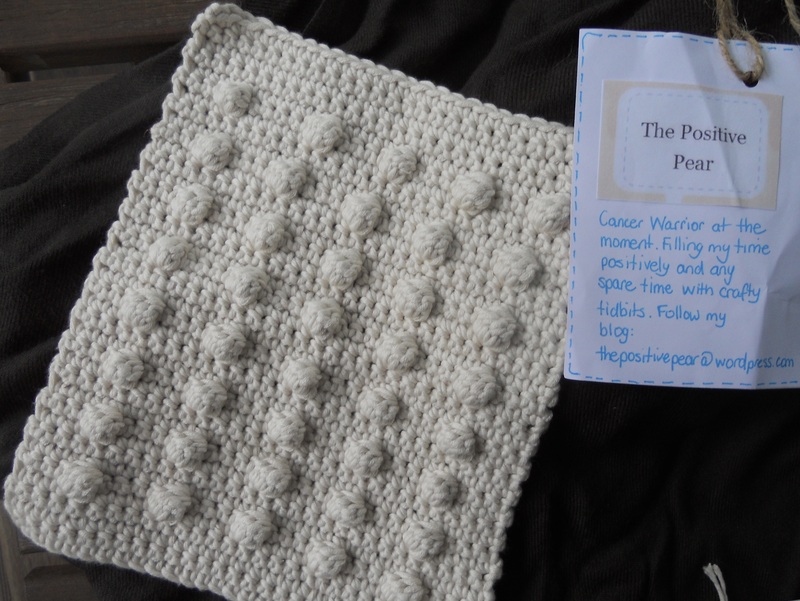 I cant seem to find my photos of the dishcloths I made, so again I am using the photo from One Crafty Mumma’s blog of my entry. Thanks Melissa! 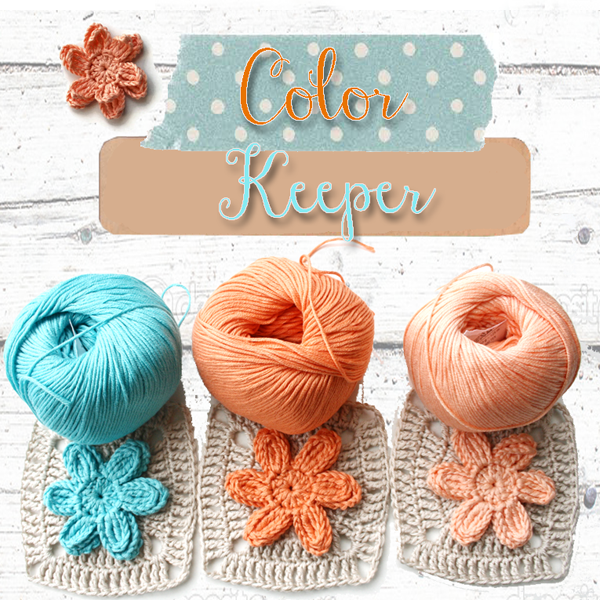 I made a gift tag with my details and the type of cotton used on the dishcloths. 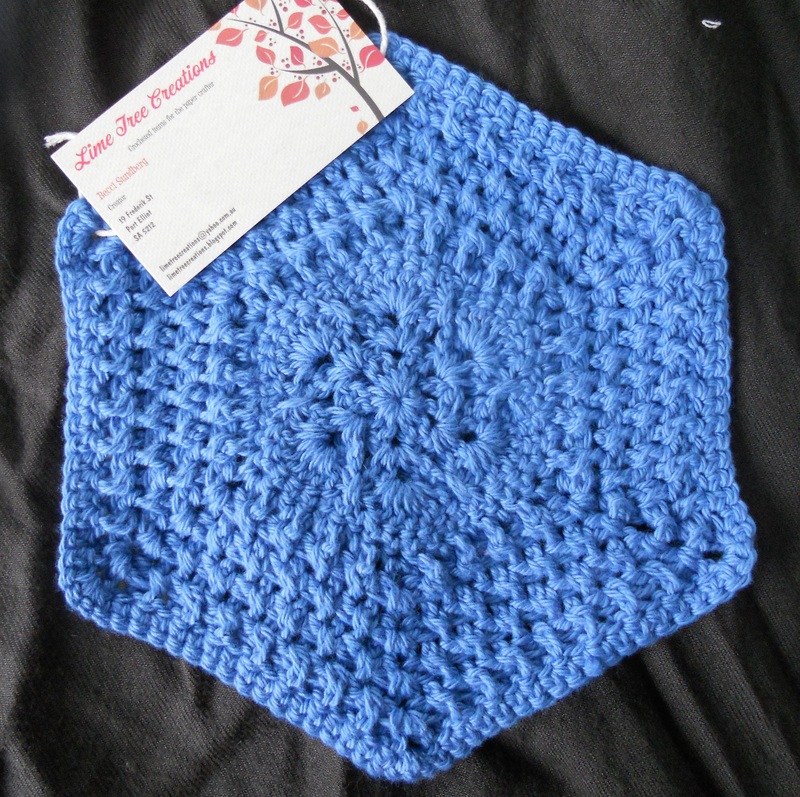 I loved the shape of the dishcloth and kept to it but varied the centre with different designs. The round one is more dense with a popcorn affect. 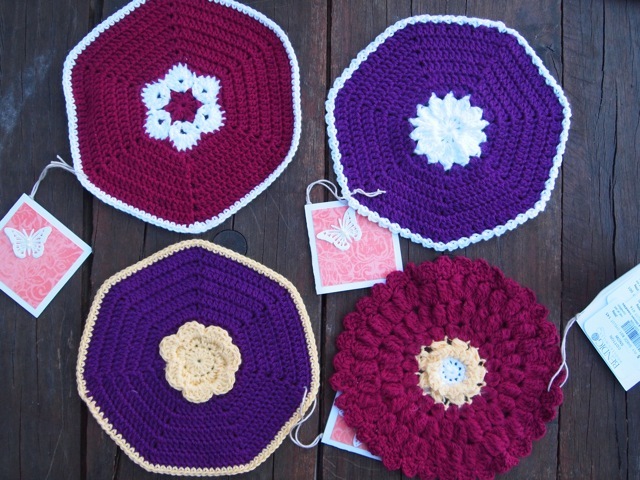 On Tuesday 3rd December 2013, I received back 4 beautiful dishcloths from 4 lovely, talented ladies! 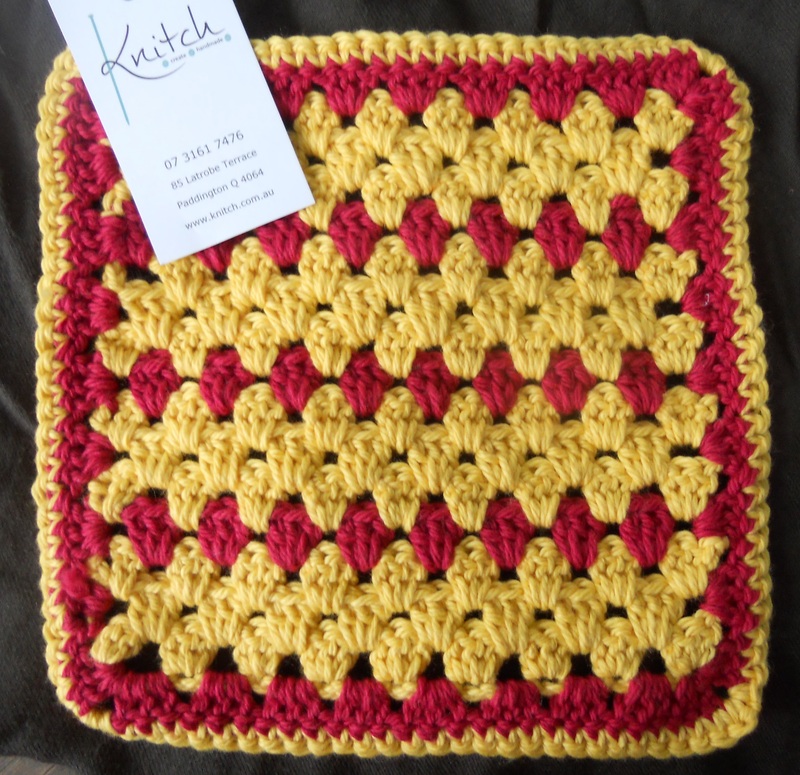 Anissa from www.creativeniss.com and www.knitch.com.au created this beautiful yellow and red dishcloth. The design is wonderful and I must give this one a go! Thank you Anissa. Thank you Becci! Its the second one I received from you! 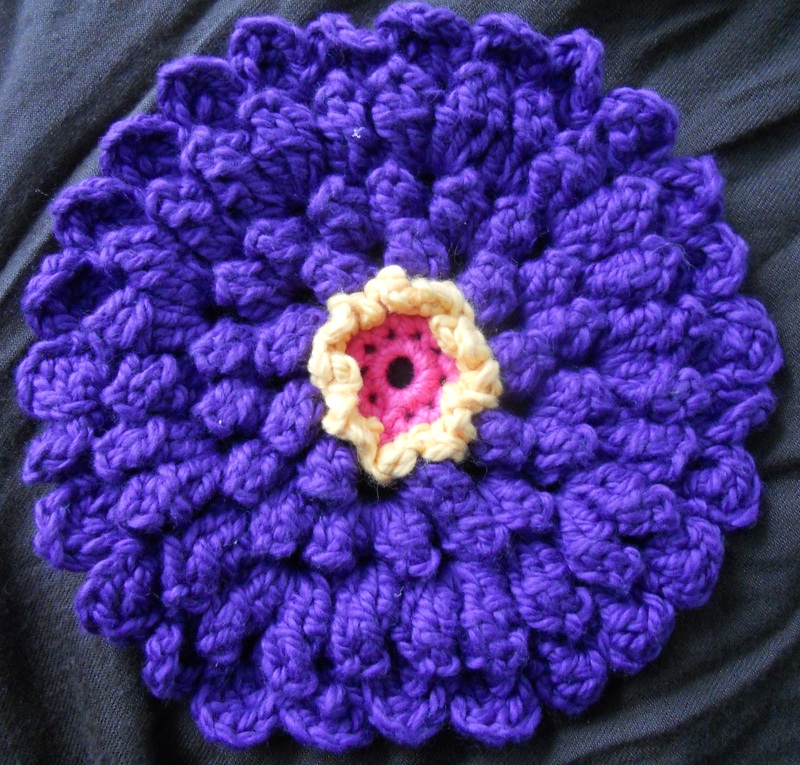 The last dishcloth is a lovely round popcorn style dishcloth in a rich purple colour. It did not have a tag with it. Thank you to whoever created it. I love it! I’m hoping to be involved in the next challenge in 2014 and looking forward to more inspirations.